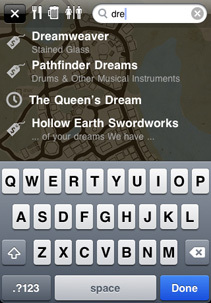 RenGuide™ is an iPhone App that helps keep your mind at ease while at the renaissance faire. What can I do with RenGuide™? Never get lost! 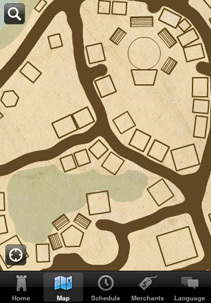 Locate whatever it is you need with the beautiful, detailed, interactive map of the faire (i.e. 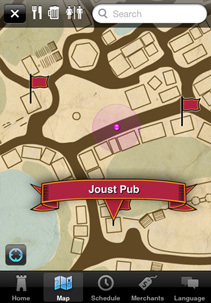 find the closest pub or privy!). 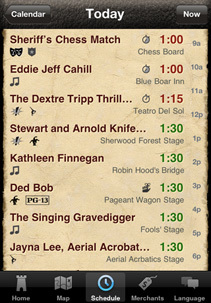 Browse the complete schedule of shows and events; set reminders for yourself so you're there on time. 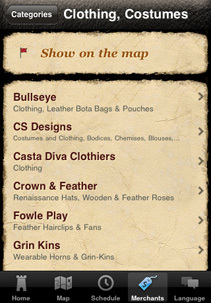 Locate merchants by category; use exclusive coupons to save on your purchases. Learn the language of the times, with the handy language guide. Learn how to insult your friends, flirt with fellow faire-goers, or just ask for a turkey leg with Elizabethan style! Is RenGuide™ availabe for a faire / festival near me? 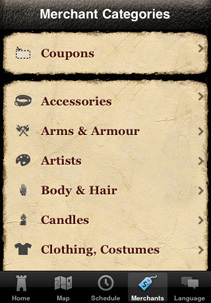 We are currently working on editions of the App for many renaissance faires across the country. 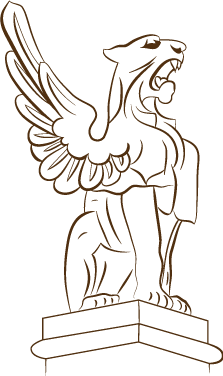 I represent a faire/festival - can a version of RenGuide™ be made for us? Yes! We have quite a few options to make a version of the app for your faire/festival - without bearing the cost of full-fledged app development. Please contact us to find out more!